Small doesn't have to mean less thoughtful. 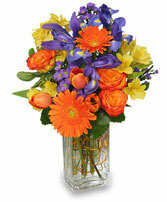 This three sided cute arrangement packs a big punch of color and a sunny presence. 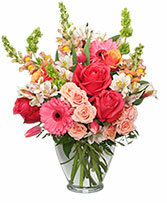 While displaying fewer flowers than our larger versions this arrangement displays each flower perfectly. 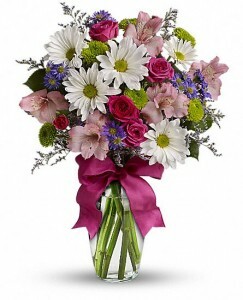 The arrangement may be increased with additional flowers based on your budget. 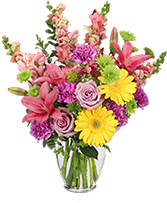 Bring sunshine life!